The Gardner Rotary Accumulator features an 8-foot diameter turntable with a stainless steel surface, and 12-inch high stainless steel sides to prevent linen from being trapped. 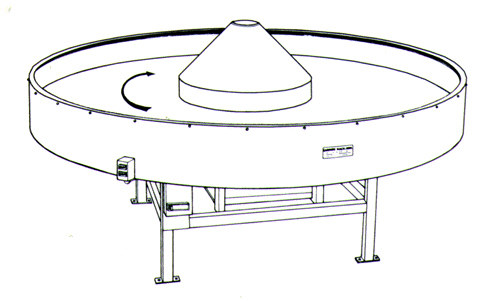 An outer guard encloses the entire rotating table to protect the operators’ clothing from being caught by the rotating table. This unit can be loaded by belt conveyors or slings and is very effective in increasing the efficiency of sorting or folding operations.